For most NFL players, their careers only last a few years and they often retire sometime in their early 30s. 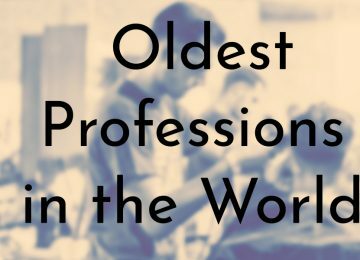 Although this may be true for the average professional football player, all ten of the men on this list retired from the sport in their 40s. 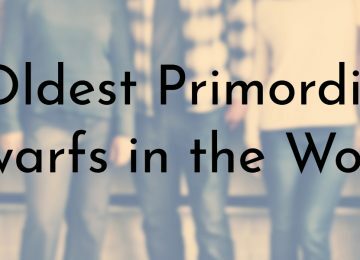 Most of them had impressive careers spanning over 20 years and several of them were inducted into the Pro Football Hall of Fame. 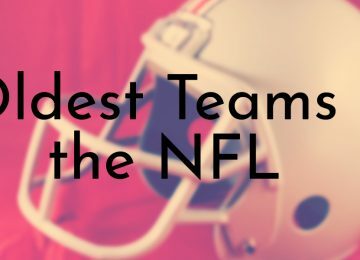 Some of the players even set several NFL records and firsts which still stand today. 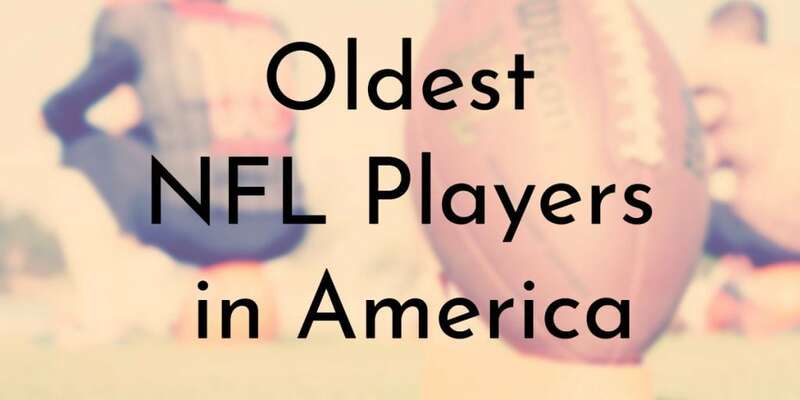 As of January 2019, these are the oldest NFL players ever in history. 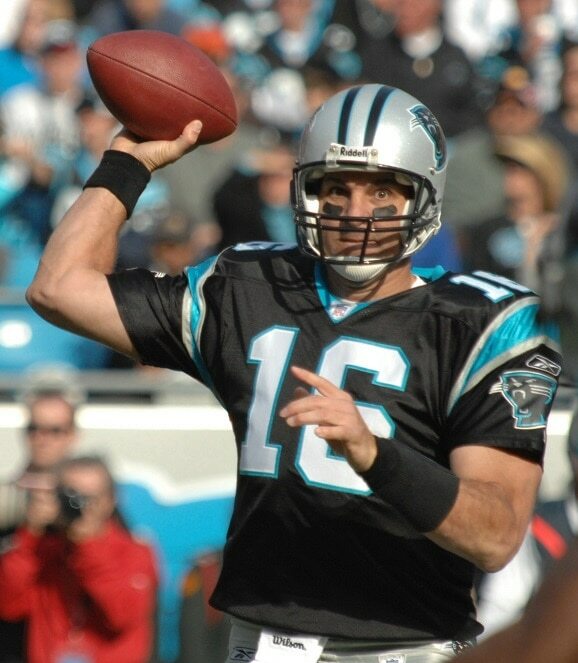 Vinny Testaverde is best known for playing as a quarterback for 21 consecutive seasons in the NFL. In addition to this accomplishment, Testaverde was also the oldest starting quarterback to win a game, the 6th in career passing yardage, 7th in career touchdown passes, and 6th in career completions – he is the highest ranked player in each of those categories not inducted into the Pro Football Hall of Fame. Despite all of these records, Testaverde is not regarded as a successful quarterback in terms of wins and losses and his 123 losses are an NFL record he has a regular season winning percentage of .423, which is the lowest of any quarterback with at least 70 wins. 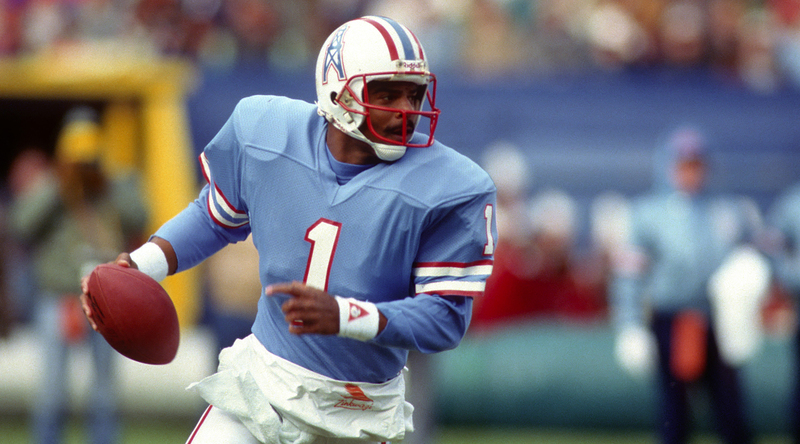 Warren Moon is a retired gridiron football quarterback who played for the Canadian Football League and the National Football League. At the time of his retirement, Moon held several gridiron football records (which have since been broken) including: the record for most pass attempts, pass completions, passing yards, and touchdowns. In addition to his impressive football career, Moon was the first African American, as well as the first undrafted quarterback, to be inducted into the Pro Football Hall of Fame in 2006. Since retiring in 2000, Moon has worked as a commentator for the Seattle Seahawks’ radio network. Although Bobby Marshall is best known for his football career, he also played baseball, track, boxing, and ice hockey. He played the position of end for the University of Minnesota from 1904 – 1906 and was the first African America to play in the Big Nine (which later became the Big Ten Conference) and was also the first African American, along with Fritz Pollard, to play in the NFL. Marshall’s professional football career was short and he played for three teams: the Rock Island Independents, the Minneapolis Marines, and Duluth Kelleys. In 1971, he was posthumously inducted into the College Football Hall of Fame. Gary Anderson is a former NFL placekicker and the first South African to play in the League. During his career, Anderson primarily played for the Pittsburgh Steelers, but is known for his time with the Minnesota Vikings. During the 1998 football season with the Vikings, Anderson became the first NFL kicker to have a perfect regular season in which he successfully made every field goal and point after touchdown during regular season play. Unfortunately, Anderson’s success is often overshadowed by a missed field goal during the NFC Championship Game against the Atlanta Falcons. 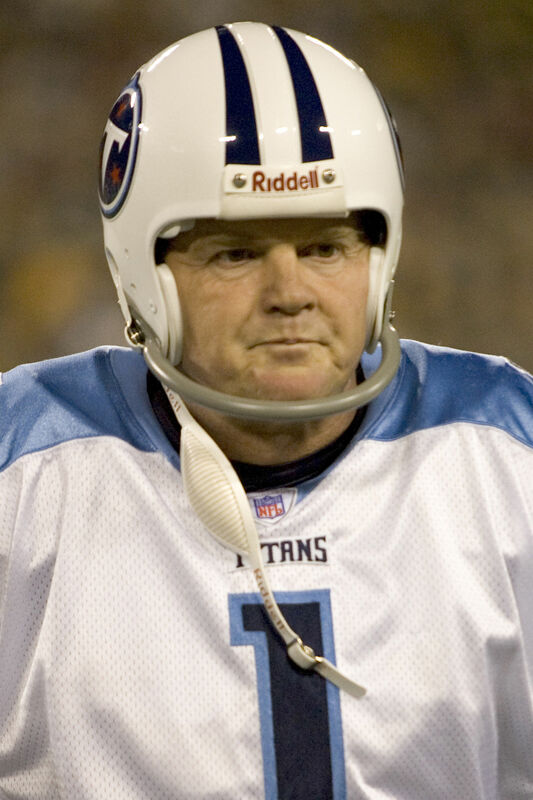 Anderson finished his football career playing for the Tennessee Titans and retired at 45 years old. 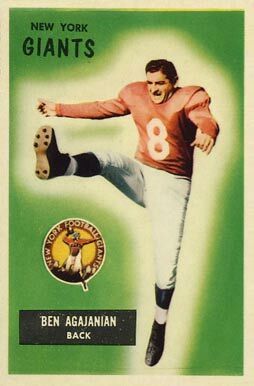 Ben Agajanian, whose nickname was “The Toeless Wonder”, is a retired professional football player who mostly played as a placekicker in the NFL. Agjanian is one of only two players who played in the All-America Football Conference, the American Football League, and the National Football League. 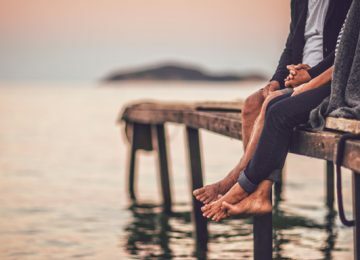 He is known for being the second kicking specialist in professional football and he earned his nickname because he has four amputated toes on his kicking foot. Prior to playing professional football, Agajanian served in the U.S. Army during World War II as a physical training instructor. 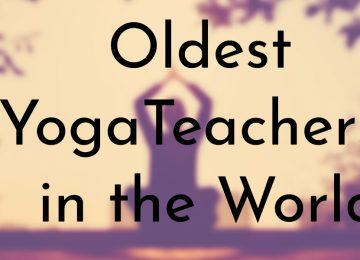 After he retired, Agajanian was the kicking coach for the Dallas Cowboys for over 20 years. 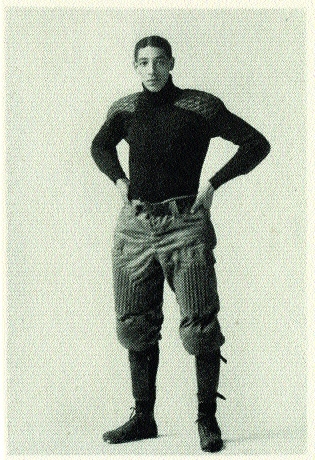 John Nesser was one of seven brothers who played for the early NFL from around 1907 until the mid 1920s. 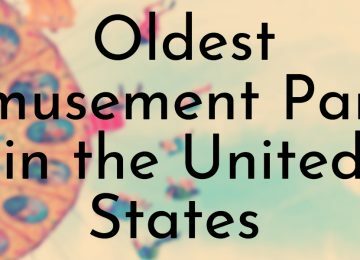 John was the oldest and the smallest of the brothers, who all emigrated to the U.S. from Germany. Before playing football, the brothers worked with their father as boilermakers for Panhandle Division of the Pennsylvania Railroad. In 1907, Joe Carr restarted the Columbus Panhandles and wanted to build his team around the Nesser Brothers – six of the seven brothers eventually joined the team and remained as its backbone over the next 20 years. John usually played quarterback and when he retired, he was the oldest player in NFL history until George Blanda broke his record. 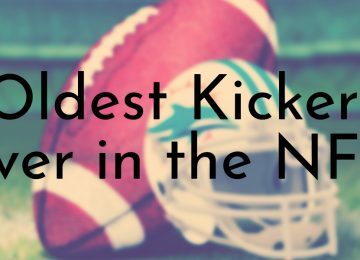 John Carney was a placekicker in the NFL who retired in 2010 at the age of 46. In 1987, Carney started his professional football career after he was signed as an undrafted free agent by the Cincinnati Bengals. When he retired, Carney was the third leading scorer in the NFL with a career total of 2,044 points and before his retirement, he was the last remaining player from the 1980s still active in the League. Throughout his career, Carney played for several different teams including the Tampa Bay Buccaneers, San Diego Chargers, New Orleans Saints, Los Angeles Rams, Jacksonville Jaguars, Kansas City Chiefs, and New York Giants. Adam Vinatieri is currently the oldest active NFL player and may just move higher up on this list if he keeps on going. Vinatieri celebrated his 46th birthday about a month ago and was signed once again to the Indianapolis Colts before the start of the 2018 season. During his 23-year long career, Vinatieri has accomplished a number of remarkable feats, including being a four-time Super Bowl champion and holding the record for most consecutive field goals ever made (44). In 2018, Vinatieri added another record to his long list of accomplishments, when he kicked his 566th field goal – his record is now up to 582. Morten Andersen, aka “The Great Dane” is Danish former professional NFL kicker and one of the oldest people to play in the League. He holds the record for most games played at 382 and is also the all-time leading scorer in NFL history. Andersen was recently inducted into the Pro Football Hall of Fame (2017 induction class) and is the second exclusive placekicker in the Hall of Fame. In 1977, Andersen first visited the U.S. as a Youth For Understanding exchange student and his knack for kicking a football was discovered after playing one season of high school football, which earned him a scholarship to Michigan State University. George Blanda was a quarterback and placekicker who played in both the American Football League (AFL) and the National Football League (NFL). 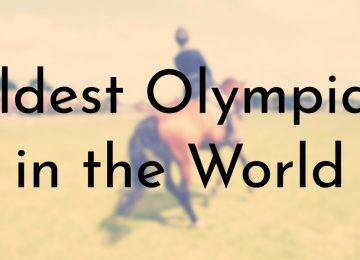 He played in the NFL for 26 seasons, which makes him the sport’s record holder and at the time of his retirement, he had scored more points than anyone in NFL history; additionally Blanda holds the record for most extra points kicked. Blanda is the oldest NFL player ever in history. 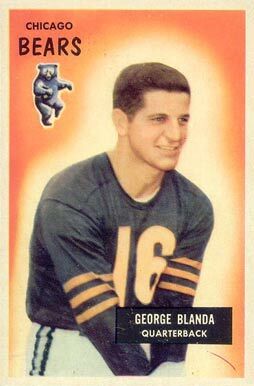 Blanda started his NFL career in 1949 and was signed with the Chicago Bear, who he played for until 1958. After a very brief “retirement”, Blanda returned to football to play for the Houston Oilers from 1960 – 1966. A year later, Blanda joined the Oakland Raiders and stayed with the team until he retired.